Want to learn more about one of Greece’s greatest exports? Follow along for information about the history, health benefits and grades of Greek extra virgin olive oil! Olive oil has a rich history dating back before most modern civilizations even began. Olives and their by products were being grown, harvested and consumed by the peoples native to the lands that make up modern-day Mediterranean and Middle Eastern countries. In fact, fossilized olive leaves can be dated back to 37,ooo B.C.! Olive trees have provided Mediterranean and Middle Eastern countries with not only a rich resource and a staple of the economy, but also a significant contribution to their culture. Olive oil is consumed daily by most people in this region and perfecting its taste has continually provided a livelihood for countless families. Olive oil has several grades based on the aroma, quality, and taste of each product. The different grades sometimes have different uses but many cooks prefer to stick with extra virgin olive oil for its incomparable taste. Extra virgin is the highest grade of olive oil, with the greatest-quality taste and lowest acidity amongst the different grades. Extra virgin is followed by virgin, refined, and finally olive pomace oil. Extra virgin olive oil accounts for 70% of all of Greece’s oil production, which is representative of just how valued this grade is to the Greeks. Extra virgin olive oil is a healthy fat that helps you absorb several types of vitamins. 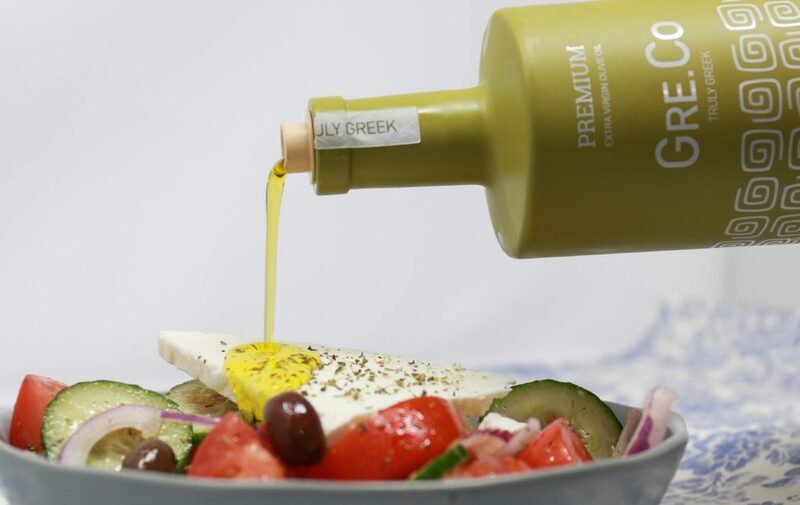 Consuming an appropriate amount of extra virgin olive oil can decrease your chance of heart disease, regulate your blood sugar, prevent osteoporosis, clear your skin, improve your brain health, and even more health benefits. If you’re looking for extra virgin olive oil in Boston, look no further! Gre.Co restaurant located on Back Bay’s Newbury Street serves a range of dishes with some of Greece’s finest extra virgin olive oil. Not only does our food contain this fine ingredient, but we will soon be introducing our very own brand of Greek olive oil blend available for purchase in our store. Preview our menu and visit our location today to try some for yourself!